According to recent college data, the price tag for a college education is between $22,000 and $43,000 - depending on whether a student attends a public or private school. With tuition and books steadily increasing, many parents wonder how they’ll afford the cost. Of course, there’s always the option of a private or federal student loan, which provide college students with funds to pay their tuition, books and other college related expenses. But there’s a price of obtaining a private or federal student loan. In most cases, college students graduate with massive student loan debt, which can take decades to pay off. If you want to limit the amount of debt your child has upon graduating college, you need to get serious about college and devise a plan to save money. Some parents start early and deposit a percentage of their paycheck into a special account each month. If you didn’t start early, options are still available. 1. Look for the best interest rate on savings accounts. The sooner you start putting away money for your child’s education, the more you’ll have available when the time comes to write a check. 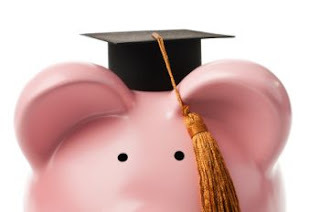 When saving for college, some people open a regular savings account with their bank and keep funds in this account. Although this option keeps your money safe, you won’t see the highest return on your investment. Check rates with your local bank and you’ll see that savings accounts earn approximately .1%. If you’re looking to maximize your rate of return, your regular savings account doesn’t make the cut. Go online and research different high-yield savings account offered by banks such as American Express or ING Direct. The rate of return will be much higher - as much as .90% or 1.00% - and this is one of the fastest and safest ways to grow your money. 2. Save with the best credit card deal. Credit card rewards provide the opportunity to earn cash back on purchases, such as gas, dining out, groceries and travel. Some credit card users use their credit cards for every purchase, including mortgage payments and household utilities, and then pay off their credit cards each month. This is the fastest way to maximize rewards. Cashback credit cards pay 1% cash back on every purchase, plus additional cash back on special categories. The more you use your cashback rewards credit card, the more you’ll earn. Deposit your rewards into a high-yield savings account and put this money toward your kid’s education. Don’t put off college planning until the last minute. With so many options for saving, there’s a plan that’s right for your family. Even if you’re unable to save for your kid’s entire education, something is better than nothing.